McCarthy has unearthed a horrifying and extremely important fact: that in the course of the century between the Greek war of independence and World War I, the Ottoman Empire suffered five and a half million dead and five million refugees. He deems this Europe's largest loss of life and emigration since the Thirty Years' War. 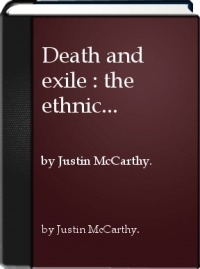 Christian suffering in this time and place is well-known; McCarthy shows the other side, that "Muslim communities in an area as large as all of western Europe had been diminished or destroyed." His study minutely reviews the regions and wars, pulling information from foreign and Ottoman sources to produce a compelling account. Beyond the tragedy involved, this pattern of death and exile has a profound historical importance. To take just three matters that the author raises: It puts into perspective the deportation of Armenians in 1915 and turns this from an act of hatred into one motivated by fear (had the Armenians, with Russian support, rebelled, Ottoman Muslims could have expected to be slaughtered). Also, this legacy explains the modest and circumspect foreign policy pursued by Atatürk; "as a land of recent refugee in-migration and massive mortality," his country was ready not to assert itself but to reform itself. Lastly, the massive immigrations to Anatolia mean that modern Turkey is (like France) a land of migrants; McCarthy estimates that one-fifth of the population descends from nineteenth-century refugees. This helps understand the country's acute sensitivity to current problems in Bosnia and Azerbaijan.